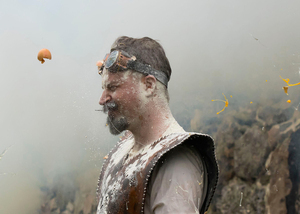 Want to take part in a huge flour fight? 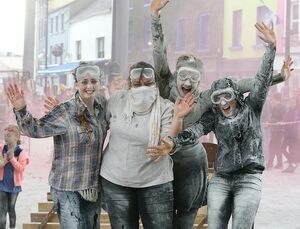 You invited to take to the streets of The Apple Market , Waterford on Sunday, October 28 for what may become the country’s largest ever flour fight. As part of Waterford’s egglectic Imagine Arts Festival from October 18-28. 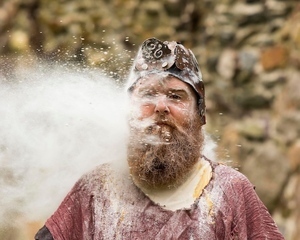 Posted in Misc and tagged Flour Fight, Imagine Arts Festival at 12:23 pm on October 10, 2018 by Bodger. Hmm. What’re the chances of it not lashing on that day? Then I guess it could be a paste fight. I’ll give him a RIGHT pasting. Actually, that’s better. Do that instead, Waterford. I am seriously considering going myself . I might bring the grandkids as an excuse . Seems pretty wasteful to me. Drunken students have a food fight. Fair enough, but dat aint art. Yeah. Flour can be very flammable when aerated. Should be wearing masks. Can’t be great for the lungs.